One part of the 3D printing process that is often glossed over is the print tray layout. Actually, this is true for a lot of manufacturing – a lot of thought and effort goes into determining how best to clamp and machine aluminum stock in a CNC machine, for example. A truly bad layout can result in a high scrap rate, or unacceptable variation in parts. 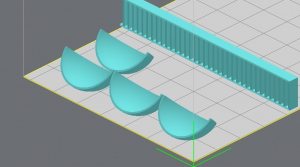 Many different approaches are often workable, but not optimal; two methods might result in parts of equal quality, but one allows for faster production or less wasted material – and therefore results in a lower cost of production. 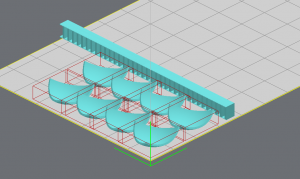 Of course, this works both ways – cost effective part designs are the result of designers taking the fabrication process and its layout requirements into consideration. With the freedom of design that comes from 3D printing, it can be easy – and empowering – to forget all that. But it can also be costly. 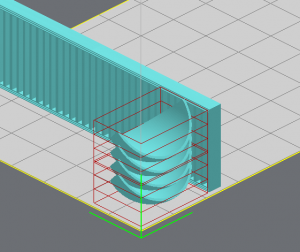 The rules are different for 3D printing, but that doesn’t mean there aren’t any – and while almost anything can be made, thinking about how parts will be laid out for production during the design phase can absolutely result in more cost effective production. 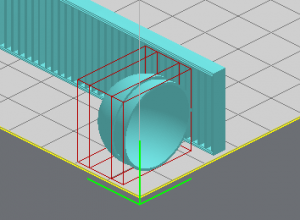 Sometimes there are clear requirements for a part that require a particular arrangement, but usually we find ourselves in a position to orient parts pretty freely. In that case, we generally keep three major factors in mind: Support material, build time, and tray area usage. 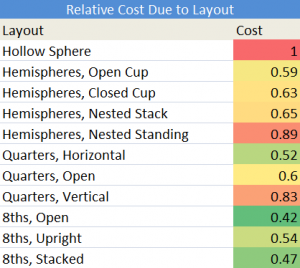 Adjusting our layout to minimize these factors while ensuring a good build lets us offer the best prices we can on every order. How much of an impact it has, though, can really depend on the geometry we’re presented with. Here’s an example. Imagine your widget – the thing you actually want to make – is a hollow 2 inch sphere. There isn’t anything we can do to optimize a sphere by itself. The hollow section in the center will be filled with support material and more will be used on the outside to support the lower hemisphere. 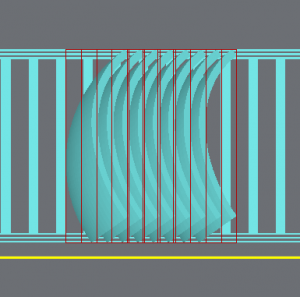 The time the printer will take is basically fixed – we can’t reduce it by re-orienting so that fewer layers are used. We also can’t really adjust so that more parts can be fit onto the platform. A sphere like this probably isn’t very useful, though. Usually, when we make something hollow, something is supposed to go in it – for example, PCBs, batteries, and displays. A more normal approach would be something like this: A pair of hemispheres. Ah-ha! Now we have something to work with. We can lay these out flat, put them on edge, stack them on top of each other – the world is our oyster! Of course, we need to be careful – if we do a bad job laying out our parts, we won’t get as much of a benefit as we could. The obvious choice is to set the two hemispheres next to each other, concave side up – that minimizes our height and will drastically reduce our support material compared to the original sphere. If we were printing a lot of these, we might want to take up less space on the bed by stacking them. 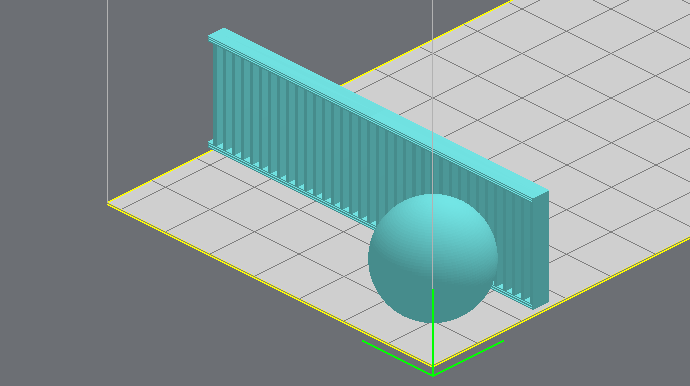 Since their spheres, we can stack them partially inside each other to reduce the support material used. We could also stand them up on edge. 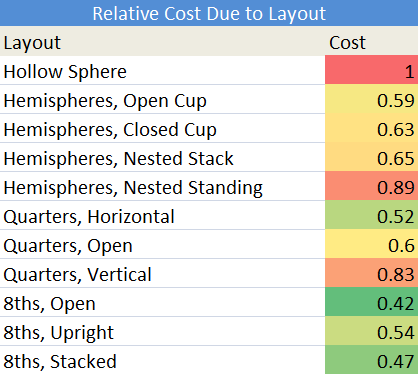 Clearly, there the new layout arrangements enabled by splitting our sphere in half allow for major savings. 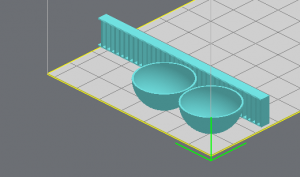 The Open Cup is a clear winner for printing one sphere, costing less than 60% as much as the original. The other configurations aren’t too bad, though, and if we were printing more than one sphere the stacked hemispheres, which use much less area on the tray, might wind up being more cost effective. We can go further, though. Hemispheres are still an example of a pretty un-optimized design. While we’re at it, though, let’s try 8ths. At this point, we’re making some big sacrifices to try to optimize our printing costs – assembling spheres out of these is going to take quite a bit. Will it still be worth it? 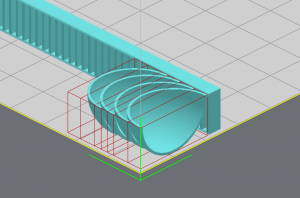 Clearly, taking the time to think about how your design will impact 3D printing layout options, support material, and more can definitely save you time and money on your prototypes. Getting down from a full sphere to a set of quarter spheres saved almost half the cost of the part, after all. At the same time, there’s no need to go overboard – going down to 8ths, in this case, would mean a lot more assembly for very little decrease in production cost. If you’re not sure how to apply this to your design, don’t worry. 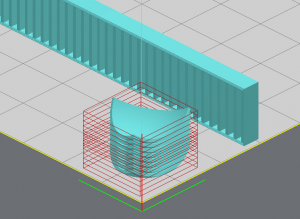 We’re happy to take a look at whatever you’re working on, at any stage of development, and help you understand how to optimize for 3D printing.